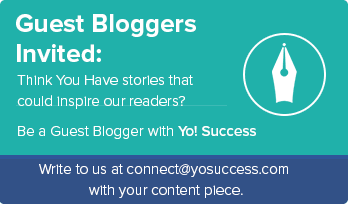 On YoSuccess, we have been interviewing entrepreneurs and covering success stories of startups for years. While these startups & entrepreneurs certainly motivate readers, they also inspire us to make YoSuccess a better organization. There are many things that we constantly learn from them. But one thing that has come to our notice more than anything else is that how much attention these modern-day startups are paying to create a workplace environment to make their employees more productive. Today, CEOs across the world know that to increase revenue they have to work out ways to increase their employees’ productivity. So, we thought of passing the knowledge we have acquired on improving workplace environment with our readers through following 5 points. Interior is certainly the first thing you need to pay heed to. How is the office furniture, how is its spatial arrangement, how is the brightness, how is the air quality & temperature, is there clutter of any kind near the workstation – all these things you need to make right to make sure your employees are working comfortably and without unwanted distractions. Additionally, you also need to ensure that your employees have access to both natural & artificial light as well as have free space to move around a little bit. In a closed& congested place, you cannot expect them to bring out their best. But as an employer, it’s your job to be aware of it, and fix things if they aren’t as they should be to bring out the best in your employees. For ages, organizations of all industries have been following the 8-hour workday pattern. And there is a good reason behind it, as there is a limit to how long a person can work productively in a day on an on-going basis. 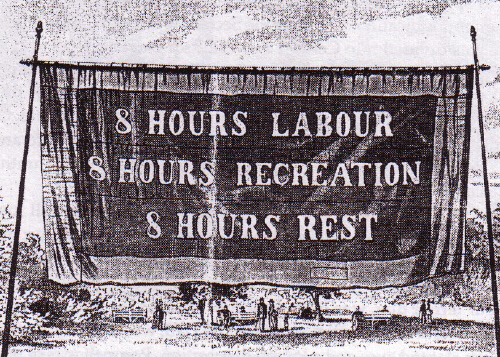 The original 8 hours a day work poster in Melbourne, 1856. Over the years, several studies have been made to find out the optimum working hours, only to reconfirm the original 8 hours a day work theory. In recent times, rising competition in every industry and introduction of concepts like workaholism have made employers think that stretching workday beyond 8 hours is the need of the hour to get ahead in the race by getting more work done. But the number of hours never interprets the amount of work done; it’s the number of productive hours that counts. By making your employees work beyond their productive limit, you really won’t get any extra work done, only burn extra electricity. Besides, by leaving employees only a small window for their personal growth through rest & recreation, you might inadvertently be forcing them to add less value to your company. “I am a huge advocate of work environments that weigh personal development over a particular job function. By supporting employee wellness, education, and interaction, a company builds a community around the work environment. With this, morale rises so does innovation. Most tech startups these days don’t follow the typical 9 to 5 job routine. Reason being, in a company, some employees can be morning persons and others night owls; thus, having flexible office timings seems like a good option, and is being adopted in many organizations. But there is a catch. With flexible timings, members of the same team may come to the office hours apart, which may cause coordination problem; therefore, may delay the work progress. 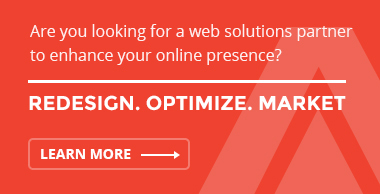 The solution here is to keep a limit to the flexible timings. For instance, in our company, employees can come between 9AM and 11AM (and leave accordingly). This way, the night owls don’t feel the constant pressure to reach office at 9AM sharp. And with just a couple of hours’ gap, we really don’t much face team coordination problems. The same flexibility should be applied to the intermediate breaks. Allow employees to take a short break whenever they feel a little distracted or exhausted, instead of making them drag themselves until that 1 o’clock lunch break. Employees are the lifeline of an organization; therefore, ensuring their wellbeing should be a priority to you as an employer. Doing parties, taking employees on trips once in a while are good ways to keep up the spirit of team members. And as a matter of fact, many companies have adopted this party& trip routine these days due to its positive impact on their employees’ productivity. However, recreational activities should not be limited to just doing party twice a month, or a trip twice a year. Frequent in-house group activities, playing music at workstation once in a while, and other such small recreational activities actually do the trick of building a bond between team members, allow them to be more expressive, thus, more creative and innovative. 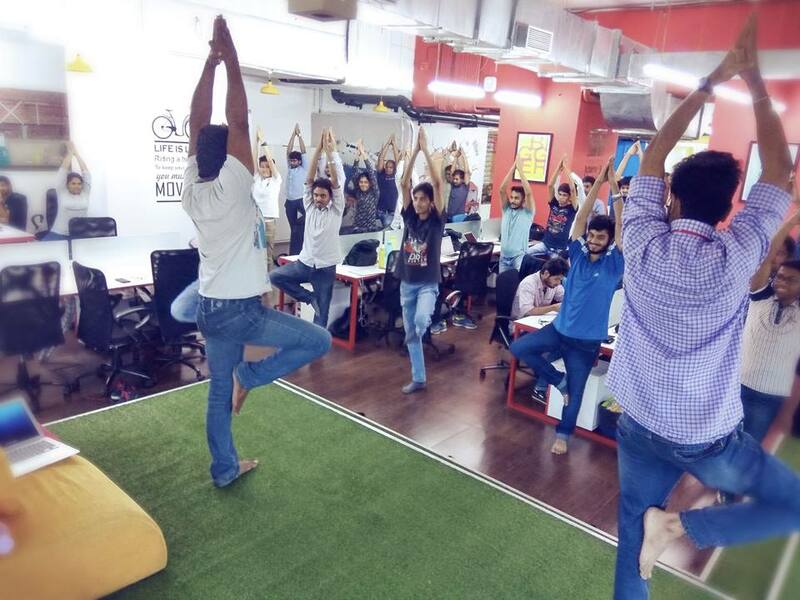 Yoga practice session at the workstation of LogiNext. 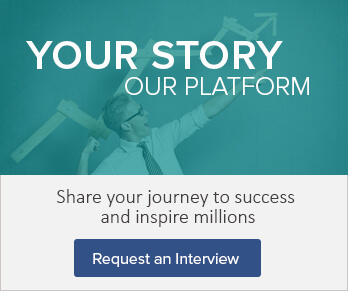 As an employer, the biggest challenge you have is to keep your employees motivated. Organizing frequent knowledge sessions is a good way to keep employees motivated as it ensures that everyone in company’s employee hierarchy is on the same page and has a clear idea about company’s goals and needs. This gives employees a direction, which drives them to be more productive every day. It is understood that being the owner/CEO of a company, you already have enough on your plate to spare time to interact with each employee on a regular basis. The solution is to build a system,with the help of executives,which ensures the occurrence of such knowledge sharing sessions within the team, as well as with other in-house teams. Additionally, it is also important to make your employees feel that what they are doing matters, not just for earning money and for the benefit of the company, but also for their personal growth and for the growth of the community; that their work is taking the community towards a more advanced form of civilization. 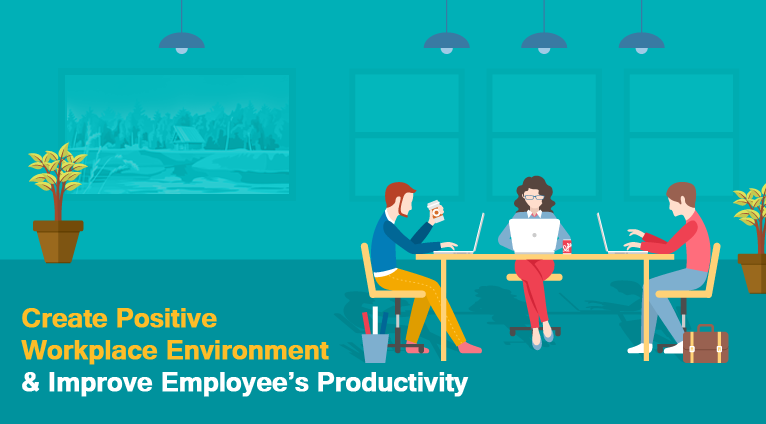 Hopefully, these tips will help you in building a better workplace environment, which will trigger your employees’ productivity to the maximum, and ultimately will take your company to the heights you have always envisioned. 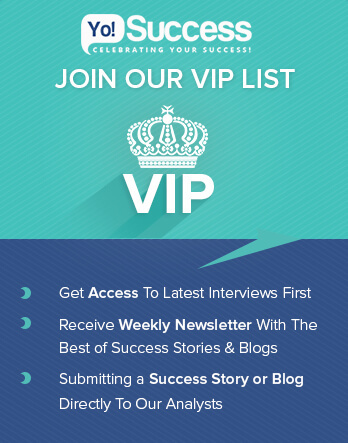 If you have additional tips to improve workplace environment, feel free to suggest so that we can make this post even more helpful for entrepreneurs &business owners across the world.